The neurotransmitter serotonin (5-hydroxytryptamine [5-HT]) is widely distributed in the central nervous system (CNS) and is involved in various physiological functions. In the cerebellum, serotonergic fibers are the third largest population of afferent fibers, innervating and affecting the functions of various regions. Although there are a number of studies showing that 5-HT influences activity of cerebellar circuitry, the physiological functions of 5-HT in the cerebellum remain largely unknown. 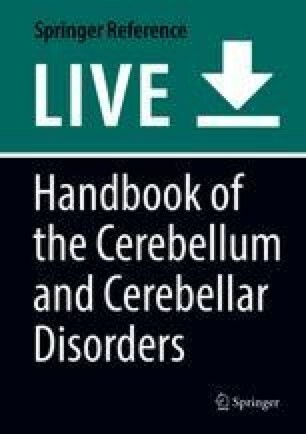 This chapter will focus on the modulatory actions of 5-HT on synaptic transmission in the cerebellar cortex and deep cerebellar nuclei (DCN), which are key areas that play a role in cerebellar information processing. First, the literature describing 5-HT-mediated modulatory effects on glutamatergic and GABAergic/glycinergic transmission within individual cerebellar regions are reviewed. This article proposes that (1) 5-HT widely modulates the information flow from Purkinje cells in the cerebellar cortex and (2) 5-HT facilitates spontaneous firing of DCN neurons directly, but it also suppresses synaptic transmission and the expression of long-term synaptic plasticity in DCN neurons. Finally, some developmental neurological disorders that may be attributed to malfunctions in the 5-HT system will be discussed.